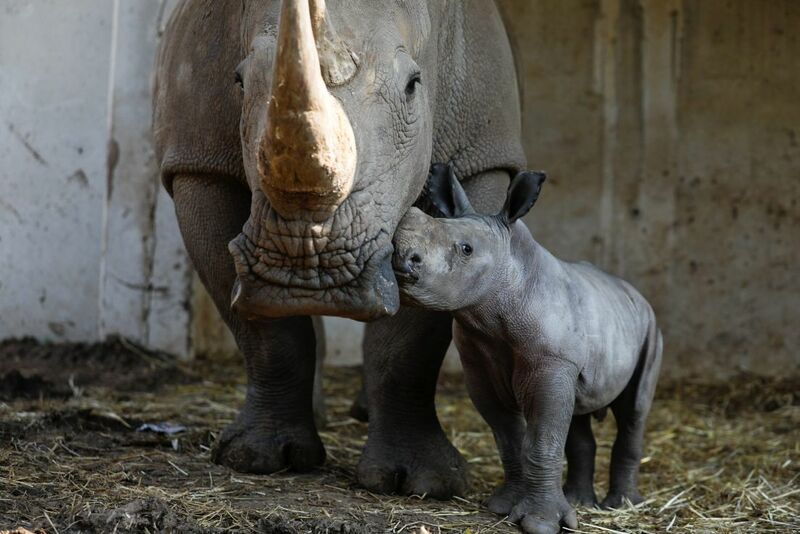 Weighing about 50 kilos at birth, bless him, Rami's birth to Rihanna the Rhinoceros locks in Israeli herd's status as the biggest in Europe. 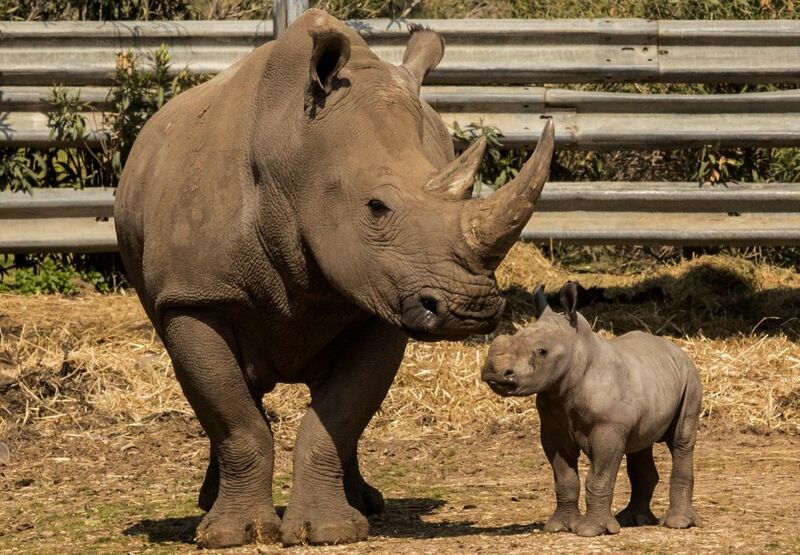 Applause please for Rihanna the Rhino, who after about a year and a half of gestation, gave birth to a baby boy last week at the Ramat Gan Safari Park. Named Rami, the calf weighs about 50 kilos, going by eye since he could hardly be weighed, says Safari spokeswoman Sagit Horowitz. Rami is perhaps 50 centimeters in height, because again, he can't be extracted and measured without traumatizing everybody involved. 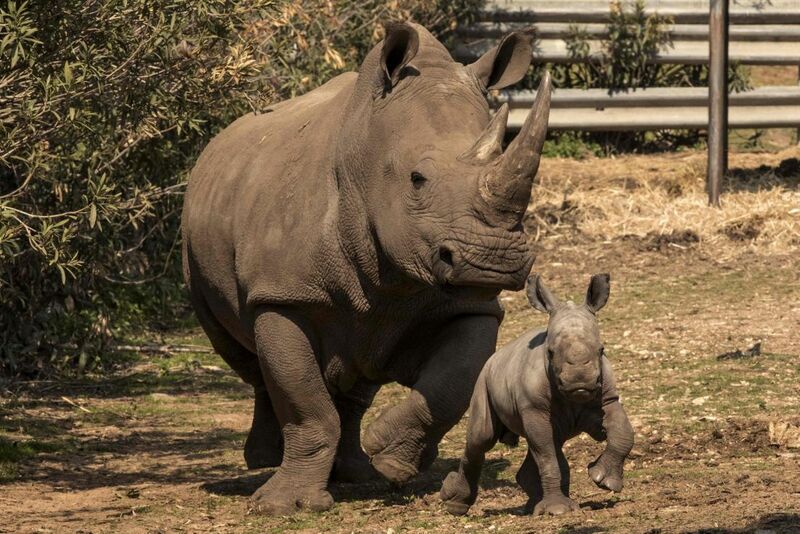 What can be said is that the shaky-kneed newborn locks in the Israeli white rhinoceros herd's status as the biggest in Europe. 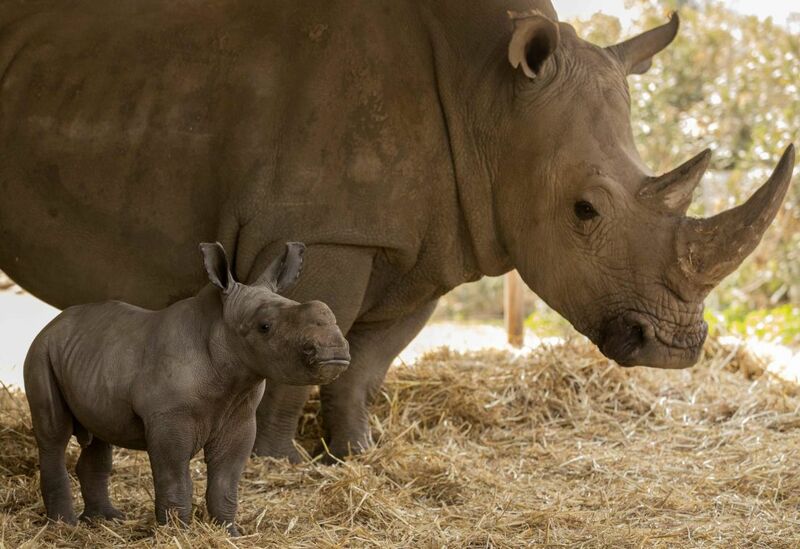 The mother Rihanna is 7.5 years old and had been brought to the Safari four years ago from South Africa. 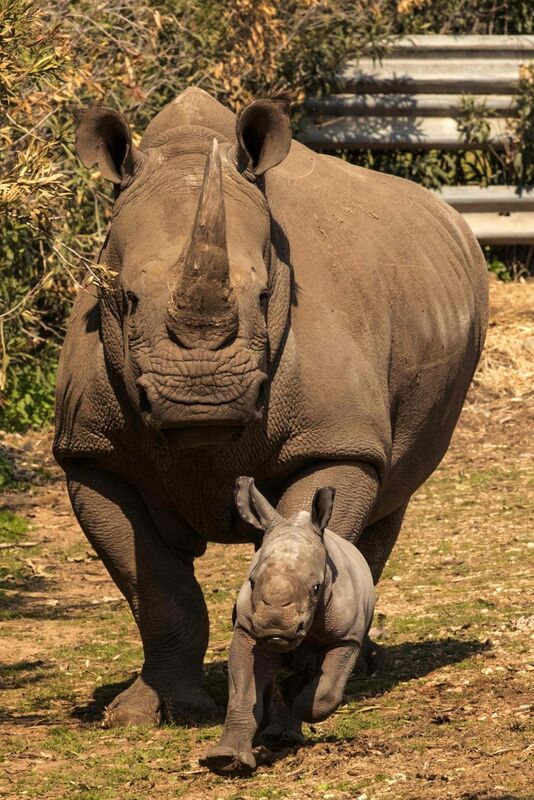 The father is Atari, the dominant rhino of the herd. About paternity, there is no doubt, says the Safari. For one thing, Rihanna and Atari had been observed mating a year and a half ago. For another, in a given rhino herd, there is one dominant male and the rest live lives of sexual frustration, Horowitz says. 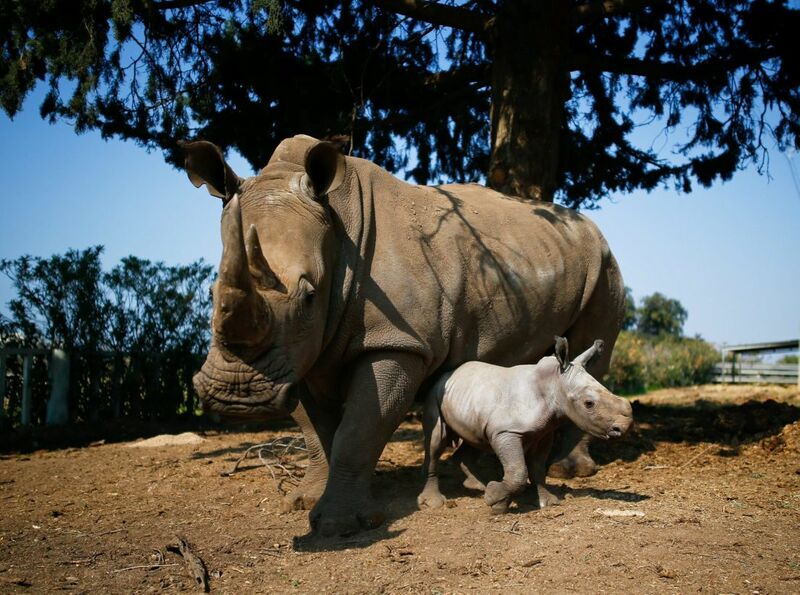 Of the 14-strong Safari rhino herd, six are male, including the new baby. Why doesn't the zoo give the poor things away so they can make merry and more rhinos somewhere else? "If we gave away all the males but one, he wouldn't be able to perform. 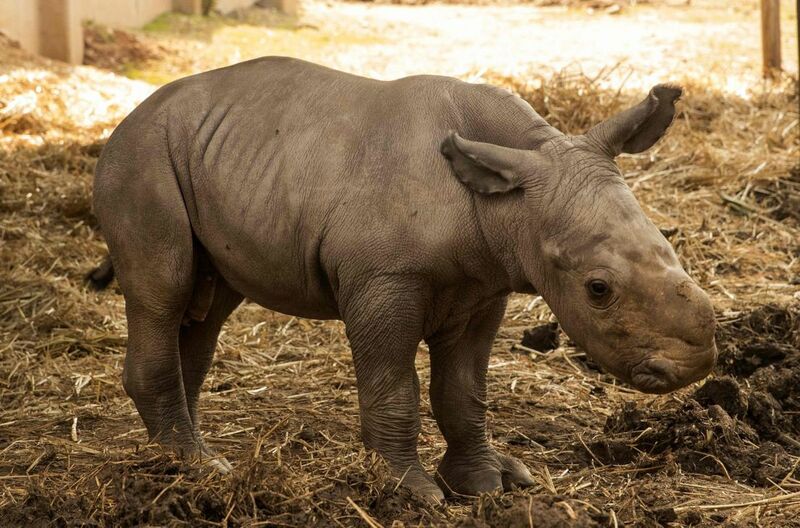 The male rhino needs an audience of other males," Horowitz explains. For another thing, most of the other Israeli rhino males are too young to be procreationally useful, and finally, the one who decides which rhino goes where isn't the Safari, it's the European Endangered Species Program, which the zoo has long since joined. "They decide for everybody in their breeding program," Horowitz says. So is Rami going to stay in Israel too? 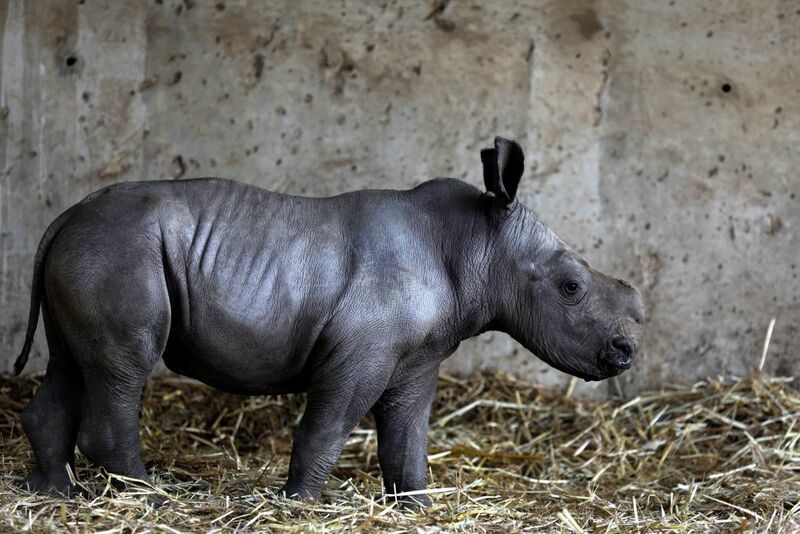 "We might give him away after several years," Horowitz says, but notes that Tibor, another male rhino, has been with them for 13 years and the endangered species program hasn't sent him elsewhere yet. 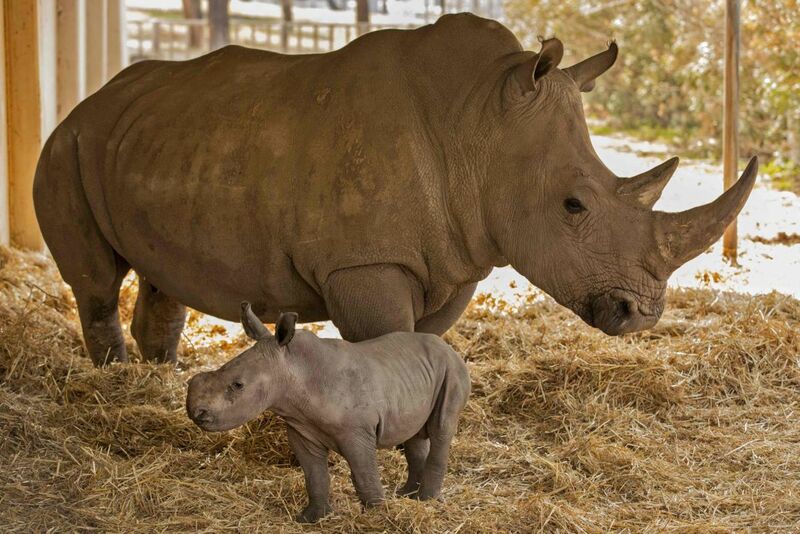 It may: the Israeli zoo's rhino population has had 29 babies over the years. The white rhinoceros, Ceratotherium simum, is under grave threat of extinction, due entirely to poaching. On the black market, a rhino horn can sell for as much as $300,000, which explains the penchant for poaching. The market is fueled by the baseless belief going back centuries that ground rhino horn has medicinal properties. Modern misconceptions about ground horn include that it can cure cancer and impotence. 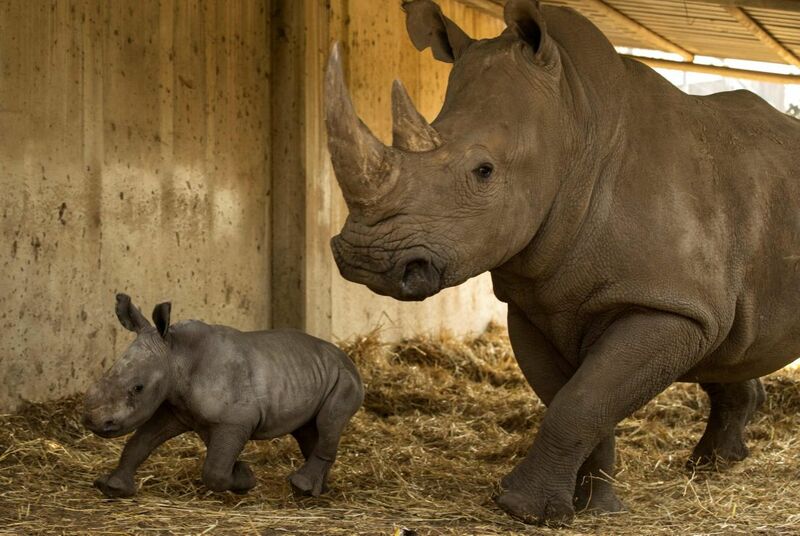 Rhino horn consists of keratin, a protein found in toenails, fingernails and hair. It cures nothing, but if you think that hair has medicinal properties despite the empirical evidence, get a cat.